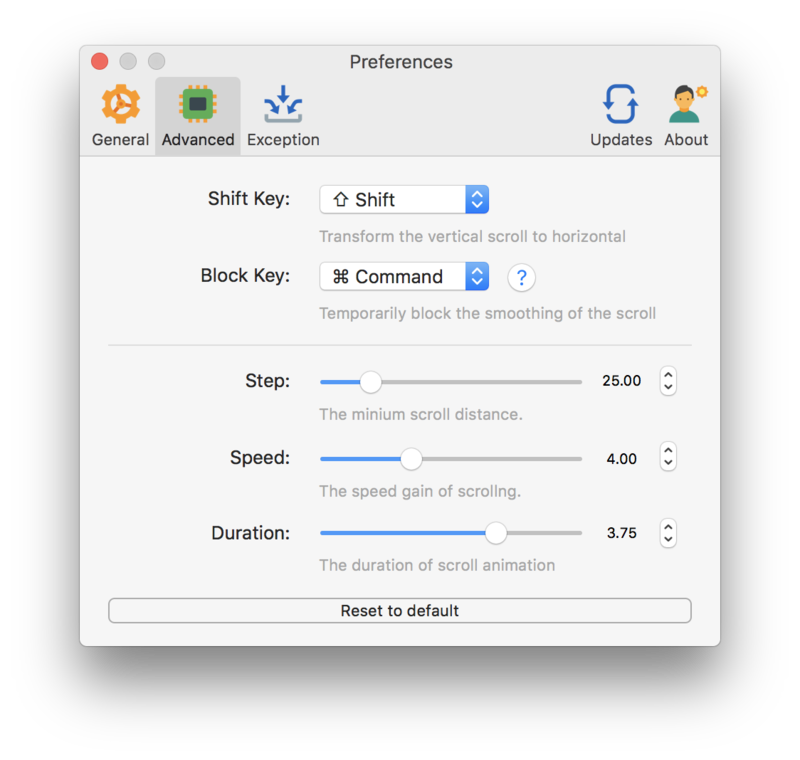 Mos separates touchpad and mouse scrolls independently, then, you can set the direction of the touchpad and mouse wheel separately. 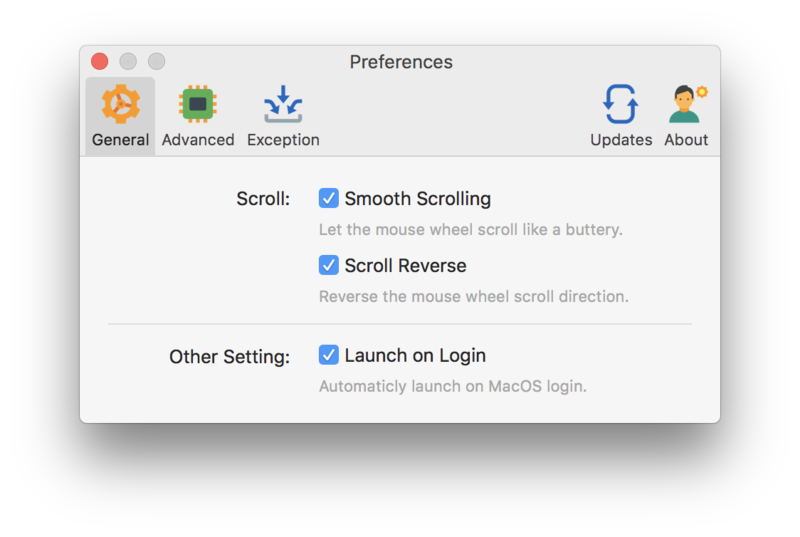 Also, Mos providing smooth scrolling for your mouse, whether you are a Windows user or a MacOS, you can move freely. The Mos's special interpolation algorithm can make every mouse roll as smooth and silky as possible. 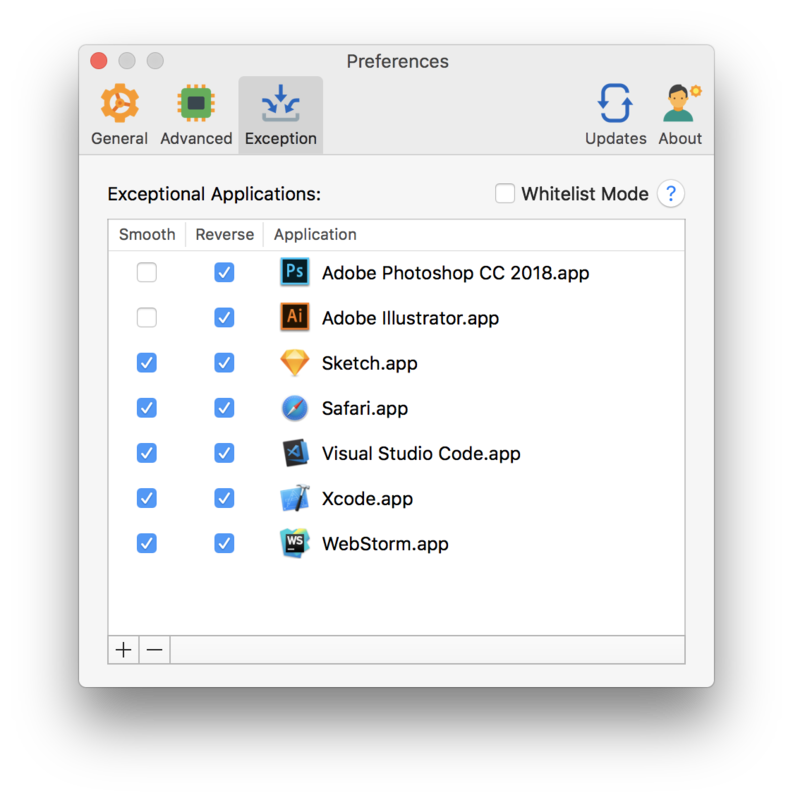 Mos can independently manage the scrolling behavior of each application. For some annoying programs, we help you.